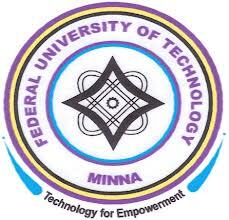 FUTMINNA School Fee – See the amount to be paid as school fees by the fresh and stale undergraduate students of the Federal University of Technology, Minna (FUTMINNA) for the 2018/2019 academic session below. This is to inform both new and returning undergraduate students of the Federal University of Technology, Minna (FUTMINNA) that the management of the institution has released the amount they are required to pay as school fees for the 2018/2019 academic session. FUTMINNA School Fees for Fresh Students. FUTMINNA School Fees for Returning Students. *Hostel Accommodation Handled by the Managers. ***Field Trip – A charge of N5, 000.00 is payable by students in participating Departments while N10, 000.00 is payable by students in the following Departments: Geology, Biological Sciences and Surveying and Geoinformatics & WAFT. **** Acceptance Fee of N20, 000.00 is payable by students in all Schools Nigeria and Foreign. i) B. Eng/B. Tech .. .. ..